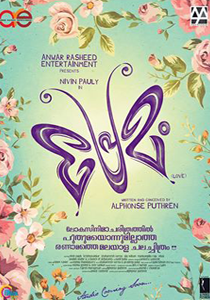 Premam Songs Lyrics : Premam is a 2015 Malayalam film written and directed by Alphonse Putharen. This film is produced by Anwar Rasheed. The film features Nivin Pauly, Madonna Sebastian, Sai Pallavi, and Anupama Parameshwaran in the lead roles along with Shabareesh Varma, Krishna Shankar, Vinay Forrt, Soubin Sahir, Bonikuttan and Deepak Nathan in supporting roles. Premam songs are composed by Rajesh Murugesan and lyrics are penned by Shabareesh Varma & Pradeep Paalar. Songs of Premam is sung by Vineeth Sreenivasan, Vijay Yesudas, Shabareesh Varma, Murali Gopy, Rajesh Murugesan, Anirudh Ravichander, Ranjith and Aalap Raju.